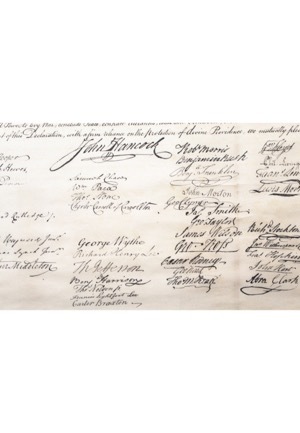 This Peter Force engraving of the Declaration of Independence, with exceptional renditions of the signers’ hands is one of the best representations of the original Declaration. 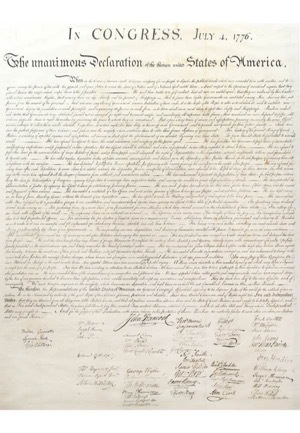 "The Unanimous Declaration of the Thirteen United States of America." One page that measures 24.5"x29" on thin rice paper. 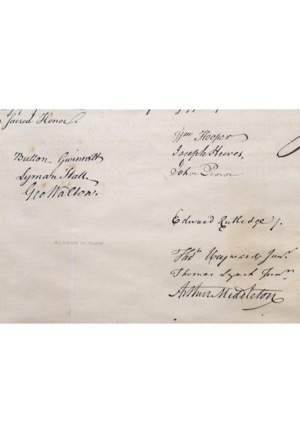 By 1820 the original Declaration of Independence showed serious signs of age and wear from handling. John Quincy Adams, then Secretary of State, commissioned William J. 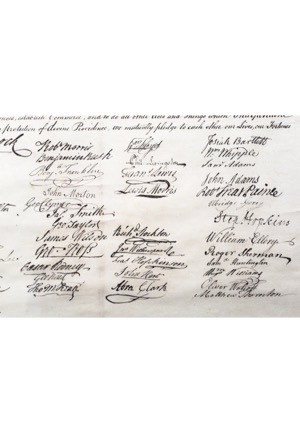 Stone to engrave an exact copy of the original document. In 1823, Congress ordered 200 official copies printed on vellum. Fewer than 40 of Stone’s printing on vellum are known to have survived. In 1843 Congress commissioned Peter Force to compile and publish The American Archives. 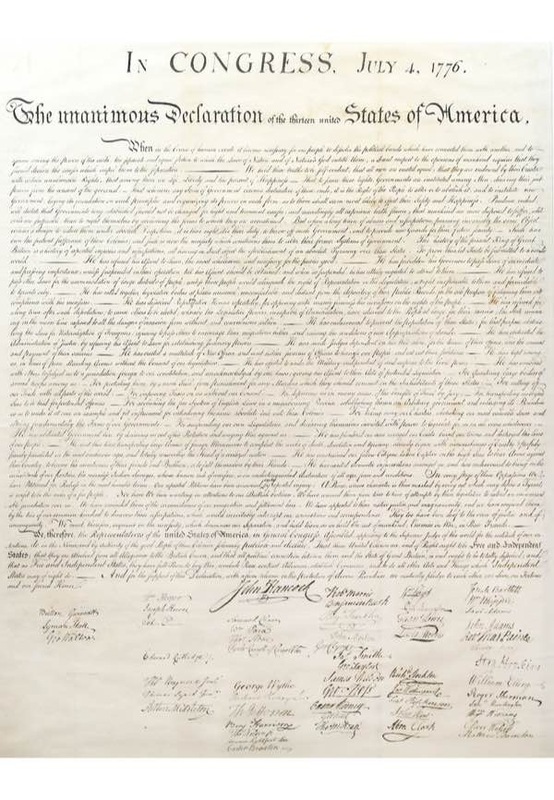 Perhaps using the Stone’s original plate at first, but then most likely a copy plate, Force prepared prints of the Declaration of Independence on special thin rice paper. There are two folding creases that are hardly visible. On the back is a Graphic Conservation Co. Certification that states “your art is protected by a clear sheet of shatterproof UV filtering plexiglass”. An incredibly desirable piece from the history of the United States.